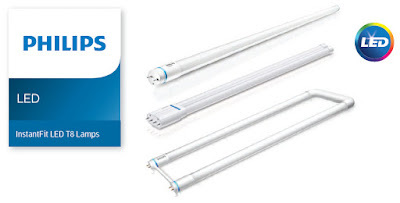 Why Philips InstantFit LED T8 lamps? Easily upgrade to LED from fluorescent. Philips InstantFit LED T8 and PL-L Lamps are an ideal energy saving choice for existing fluorescent fixtures.